Technology advances have transformed today’s business environment and organizations: there are enormous quantities of data to be retained and managed in multiple repositories. The industry-wide need to retain and safeguard increasing quantities of data is forcing companies to rethink, how data shall be handled at the end of data’s life. Organizations face inadequate processes and are unable to efficiently cope with the challenges of modern corporate governance and compliance initiatives. To address these inadequacies, Information Lifecycle Management (ILM) programs are being initiated to establish an efficient management of all data from creation to retention by understanding and addressing the needs of different types of information. ILM is a comprehensive approach managing the flow of data from initial creation to the time when it becomes obsolete and is deleted. Unlike earlier approaches to data storage management, ILM is an organization-wide enterprise solution, involving procedures and practices as well as applications, rather than just automating storage procedures. In contrast to existing approaches, ILM covers information as bundles holistically, as various dependencies are remaining. 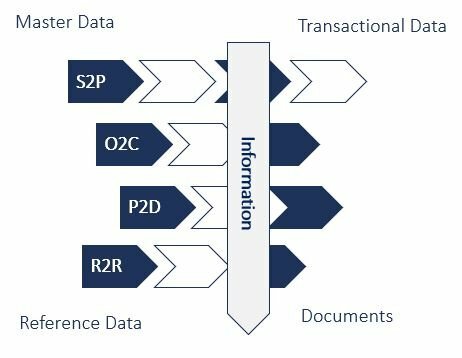 Transactional-, master data or even documents are interfering during business processes and new ones are constantly getting generated, like the sales order processing for which customer master records are being used, sales orders, shipments and billing documents created. And at the end of information’s life this requires even more complex criteria than just age and frequency of access to enable compliance with internal as well as external regulations. Data management has become increasingly important, as businesses face compliance issues in the wake of legislation, such as GDPR and the Sarbanes-Oxley Act, that regulates how organizations must deal with their information. Ensuring that companies data management meets internal and external regulatory, governance and business requirements has become an issue that, if mishandled, can cost millions. As companies take up this challenge, they may also find that their current policies and traditional approach to data management is insufficient to handle the complex demands of new compliance requirements. ILM is a holistic response and is the next evolution step of traditional data management. It is about more than just managing data. ILM is about handling information, which is used and generated in business processes, including related business context and restraints that are so crucial to successful governance. Often neglected, but information is being used vertical across business processes, and therefore need to be considered holistically, from the start of business activities to their end. 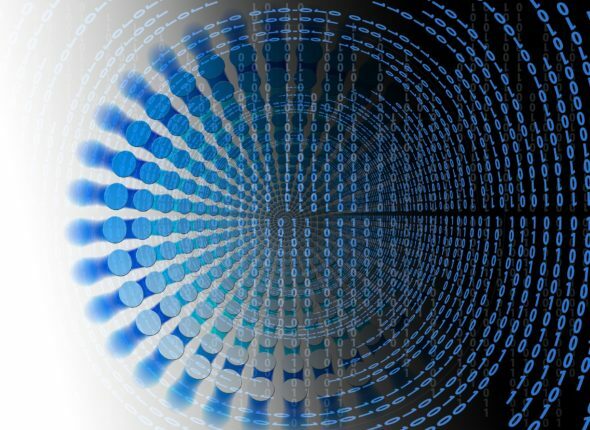 It is very important to develop an appropriate approach for retention, covering processes and systems, to management of data lifecycle, especially in the context of personal data. The retention of data is due to tougher regulations very important. The retention period of personal data should not be longer than necessary (for the purposes for which the data was obtained). When the purpose expired or terminated, data should be removed completely. An ILM (Information Lifecycle Management) solution supports in data lifecycle management, increases efficiency and minimizes the risk by automating of activities, like archiving and deletion. 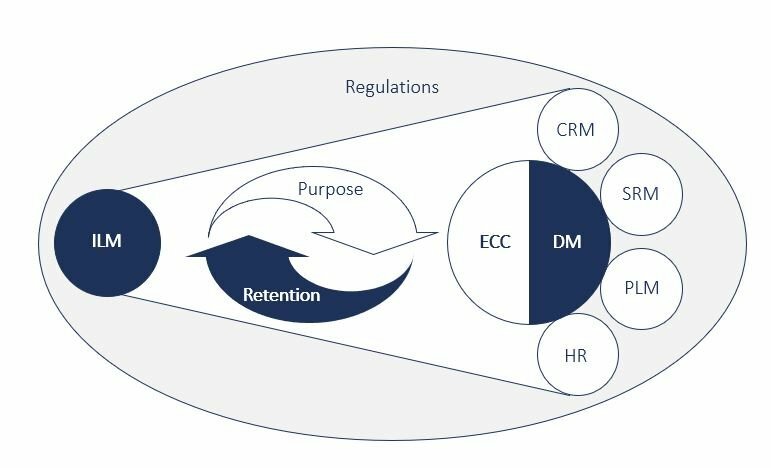 The end of purpose enables to clearly define an end date for business activities and identified based on rules incorporated in a retention rules management. The key challenges of ILM will be to overcome the silo thinking and encourage companies to manage information and data holistically across all business processes. The emphasis is currently set on personal data, due to tough regulations. Nevertheless, the whole IT architecture needs to comply with these new regulations, so that a suitable tool solution with a thought-through governance concept is needed. CAMELOT as data expert with a long-lasting experience in Enterprise Information Management is the right partner to tackle these hurdles. MDM and Big Data Analytics – A Bidirectional Future?